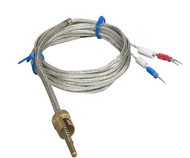 Accurate thermocouple types E, J, K, N & T with standard size connectors attached with metal sheaths (sizes from 1/16 inch to 1/4 inch diameter). 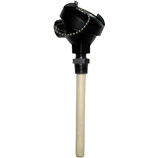 Protection Head Probes are typically utilized in an industrial environment to help protect the probe from harsh conditions. 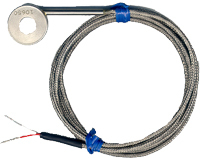 Armor cable protects the leads of thermocouple types E, J, K, N & T. Metal sheaths made to your required length. 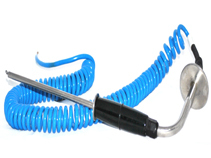 Ultra-high temperatures to over 4,200?F with conduit head attached available in various sheath materials. 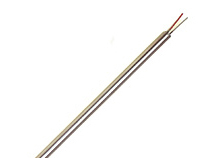 Surface thermocouple probes normally feature a flat thermocouple element that is designed to make good contact with rigid surface. 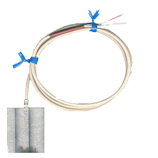 Bare Lead Mineral Insulated Thermocouple Probes can be used as replacement probes for plant operations or as an OEM component to build temperature sensors. 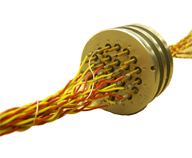 Incorporate high temperature ceramic insulation with inconel overbraid thermocouple wires to create a flexible, abrasion resistant thermocouple. 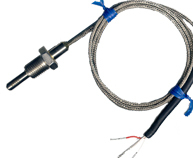 probes consist of several smaller diameter thermocouples placed inside a single outer sheath. 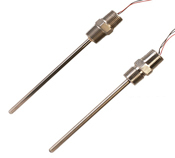 They are best suited for profiling the temperature at various points along a single axis. 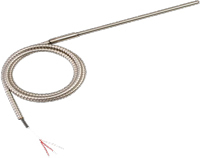 Autoclave thermocouples are designed to withstand the harsh environment of an autoclave. 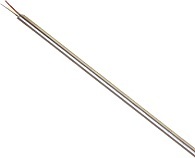 They are ideally suited for food applications where steam wash down is necessary. 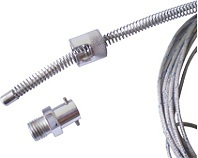 Magnet Mount Thermocouples can be utilized on any ferrous metals as an easy means to measure surface temperature of an object. 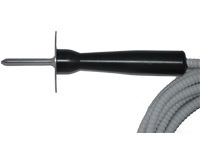 The Flexible lead wire (NB1) replacement probe is ideal for field installation with existing protection heads or for extending leads to remote locations. 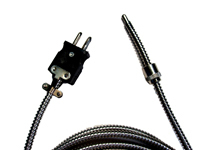 Flexible leads prevent breakage in hard to wire situations. 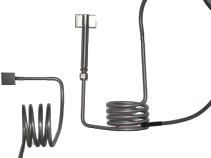 spring-loaded thermocouple is designed for threaded blind-hole measurements, surfaces subject to vibration/oscillation and any application where positive contact for good measurement is required. These bearing sensors are designed for use in bearing shoes and will give reliable indication as to the bearing condition. This may provide an early warning of oil film breakdown. 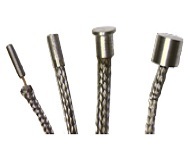 Commonly used in Petro-Chemical industries. 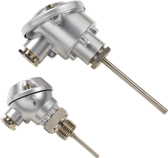 The sensors are welded or clamped to measure process temperature. 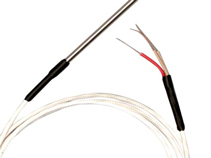 Penetration Thermocouple probes are utilized when an application requires insertion into a soft, medium, or semi-solid media to allow for best possible internal temperature response. 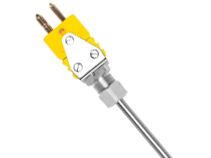 Screw in thermocouples are ideal for vessel applications, pressurized containers and applications requiring mounting in a NPT orifice for fixed readings.